Wayne Williams grew up a Chicago Cubs fan because that was his father’s favorite team. As a young boy he and his dad would watch games on television, or listen to radio broadcasts in the car. The Cubs, of course, were famous for their futility; they hadn’t made it back to a World Series since 1908, but every year father and son followed the team and made a pact: When (not if, but when) the Cubs made it back to the World Series, wherever father and son were, they would get back together listen to the games with each other. So when the Cubbies played their way into the World Series in 2016, it was a bit of a bittersweet moment for Wayne. Sweet, because his beloved team was back in the Series. Bitter, because his dad had died very young—Wayne’s dad was just 53 years old when he passed away in 1980. Even so, Wayne believed that a promise made is a promise that must be kept so he got in his car (Wayne lives in North Carolina) and drove all the way out to Indiana, where his father was buried. 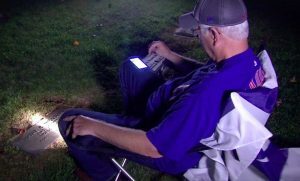 He set up a chair, and listened to the World Series games “with” his dad. Stories like this inspire us—there is something noble in keeping a promise, especially if the promise requires sacrifice. It’s the kind of person we all want to be, isn’t it? 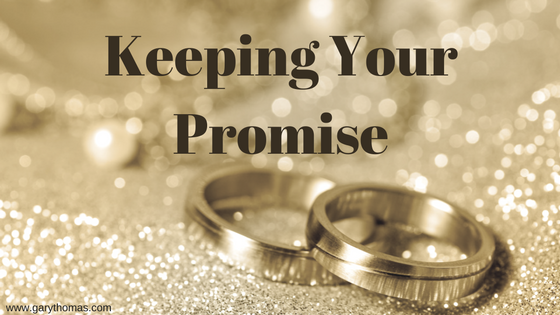 Just about every married person reading this blog made a promise as well—not just to love our spouse, but to cherish our spouse: “I promise to love and to cherish until death do us part.” We often talk about the love part—sacrifice, service, perseverance—but pay far too little attention to the cherish part, even though, again, it’s what we promised to do. Cherish means delighting in each other. It involves praising each other. It’s fed by thinking about each other in the right ways. It paints love with the perfect finish so that the strength of love’s promise is finished by the beauty of cherish’s charm. A man I know asked seven of his married buddies, “How many of your wives love you?” All seven hands went up. “How many of your wives like you?” All seven hands went down. These husbands all felt loved, but none of them felt cherished—and that fact alone influences the way a wife treats her husband and impacts the climate of the marriage. Merely “hanging in there” and letting your spouse know you’re in it for the long haul, isn’t enough. Perseverance and fidelity matter, but we promised more than that. We promised to cherish each other. Men, our wives made themselves so vulnerable to us when they married us. One of the most popular quotes from Sacred Marriage isn’t even mine. It’s from Helen Rowland: “When a girl marries, she exchanges the attentions of all the other men of her acquaintance for the inattention of just one.” We chase, we chase, and we chase, and then, when we catch, we ignore. Every day we do that represents a broken promise. Since I’ve become so aware of the call to cherish, few things give me as much delight as seeing spouses actively cherish each other. Perhaps because I receive so many emails and phone calls and visits from marriages in crisis I’m especially eager to be encouraged by marriages that are flourishing. Even more than this, however, is that I’ve found practicing cherishing acts, thinking cherishing thoughts, and developing a cherishing heart makes marriage a whole lot more fun. In the abstract, who doesn’t want to cherish the person you’re married to? It makes life so much more enjoyable. And what I have found and want to help you understand, is that cherishing is something you can learn to do. Why not spend some time in 2017 making it your goal to learn how to cherish your spouse and helping your spouse learn how to keep cherishing you? 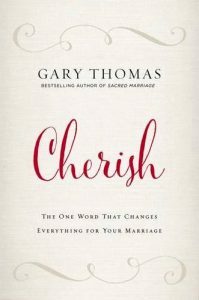 If you’ve enjoyed this blog, we would be so very grateful if you would consider pre-ordering a copy of Cherish today. Good morning, Mr. Thomas. I have been reading your blogs for several years now and I enjoy them. Even though I have never married in 45 years. I sometimes mention your articles to some of my married friends. Someone I know or have known always come to mind, when I read your posts. I thank God for blessing you to minister through written word. Have a good day, sir. Gary, I will be putting this book on my list to buy…you see up until early September my husband, Beau, was very affectionate, loving, still held hands, had pet names for me…he told me that he felt There was someone more compatible for him and wanted to start over; even in October he told me he loved me and we’d get thru this with God’s help after he talked to our pastor. 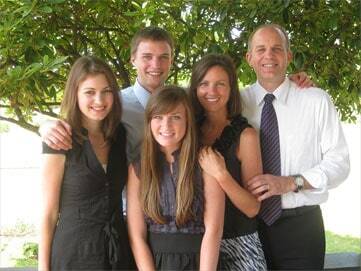 Well, he is no longer at home, our grown children are very disappointed because of the way we raised them…I pray every day that God guides his heart back to Him. it started as an emotional affair…I am still standing and praying. I believe midlife crisis hit and the enemy snuck in as he does 🙁 we have been together for 29 years and I served him faithfully even while dealing with my dad’s death last year and several health issues. I miss him so much, but know God misses and loves him more. We have a good marriage. Good. But it’s not all God wants us to have. The pain of my unfaithfulness still stings in her heart. The passion we once shared is all but gone. I am holding on to Jesus and praying for her heart to soften. A busy schedule with 3 kids and both of us having full time jobs has left us being “good” roommates. I feel selfish to say I miss the love we once had but my heart is aching for her. Just finished Scared Marriage and have dedicated this next year to showing her more love and honoring her. Thanks for your investment in marriages. We need your regular encouragement, advice and support. Definitely does hurt to be ignored after some time has passed in the marriage. I find myself looking for attention other places (not necessarily from men or for attraction purposes). But trying to fill a void I guess. Will your book be available internationally? I live overseas. That’s the danger, isn’t it? Looking forward to reading your book Gary! I love discovering stories like these and using them to teach us something about marriage. So inspiring and heart-felt. May God help us cherish our spouse for as long as we both shall live. Oh that he would have. I stood ready in forgiveness of his adultery, but he hardened his heart rather than “stoop” to receiving unconditional love, and I grieve not just for the loss of our marriage but for the destruction of his soul. I’ve prayed steadfastly for seven years for God to manifest true Father love into Chip, all that means including course correction, but his heart is still hard, he gave up and face in to sun and I can’t do a thing but ask others to pray for his true repentance and salvation. I’ve prayed for Chip too, Rose, and feel fairly confident that some other readers will as well. Perhaps God in His mercy will right another tremendous story of reconciliation.